As businesses seek to improve their collaboration capabilities, more and more of them are switching to the Google cloud network. This is because with Google Apps for Business, you automatically inherit countless tools designed to enhance communication and collaboration in the workplace. The business platform comes standard with features, like Google Docs, Google Groups, and Google Sites, that make working in groups easy, enjoyable, and valuable. Even though Google Apps comes with these collaboration tools in place and ready for use, many businesses don’t know how to use them effectively. In order to remedy this problem, Google partners have started to provide businesses with collaborative solutions. Businesses that are serious about increasing their collaborative activities can enlist the help of a Google partner to examine their work environment and determine solutions to improve collaboration. Specifically, a business that seeks collaborative solutions will learn how Google Apps can be implemented specifically into its workplace to receive the best possible results. A collaboration solution for businesses that are already operating on Google Apps is to have a partner examine your current practices and work with you to develop a plan for improvement. This solution would require a group of experts to go over your business’ collaboration goals and possible areas for improvement. Based on this information, the group would then devise a specific plan for your business and instruct employees on how to implement the plan. Deploying this plan should ensure that all of your employees are using Google Apps to their advantage, which will enhance the value of the platform and its collaboration tools for your business. Specifically, this type of solution is geared toward preparing your business for a collaborative project, such as a company intranet. Businesses that are still contemplating the move to the cloud can also use a collaborative solution to pilot Google Apps. A Google partner can help your business test Google Apps and its collaboration tools, focusing on Google Docs, Google Sites, and Google Cloud Connect. The goal of this program is for you to determine how your business can most effectively use Google Apps, the most convenient way to configure the platform for your business, what Google Apps training your employees may need, and how the switch to the Google cloud will go over. The idea behind this test-run is to help your business understand the value that Google Apps for Business can add to your company and to help you feel more comfortable using the cloud applications. Because collaboration can be essential to a business’ success, promoting a collaborative environment in the workplace will improve the day-to-day functions of your business. With the right communication and collaboration tools, your business can truly enhance its results. Operating on Google Apps for Business is certainly going to help improve the collaboration within your business, but if you’re hoping to take your collaboration capabilities to an entirely new level, the best thing you can do is work with a Google partner to develop a collaborative solution for specifically for your business. Cloud Sherpas is a leading cloud service provider and was named the “Google Enterprise 2011 Partner of the Year.” As one of the first Google Enterprise partners, Cloud Sherpas has migrated over one million users across a variety of industries from legacy, on-premise messaging systems to Google Apps, helping organizations adopt cloud computing to innovate and dramatically reduce their IT expenses. A Google Apps Reseller in Atlanta, GA, Cloud Sherpas has regional offices in locations including San Francisco, New York, Chicago, Austin and Sydney, and has more Google Apps Certified Deployment Specialists than any other partner in the world. It seems great to improve collaboration with Google application. I think that it would improve the way your business goes. I know that everyone make use of Google applications on analyzing and managing social media of your business. I use Cloud Sherpas and if anyone here is in doubt, don’t be. Cloud Sherpas is one of the best Google affiliated companies I have ever worked with. Their service is really good and the customer support is incredible. Thanks Carlos – will definitely check them out. I worked for a small business that used Google Docs. This was a few years ago. We found it quite helpful to edit documents in real time, collectively. There were just a handful of us — usually around 12-15 — and we were able to navigate quite well on our own just using the standard Google Docs that were available to anyone with a Google account. It’s great to see now that there are Google partners that can help companies with the Google Apps for Business. Sounds like quite an advancement compared to what we had. 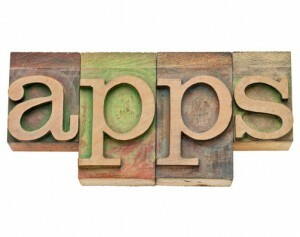 Previous post: Will Invoicing Move to Mobile Apps?